Home » How To » Mobiles » Samsung » My Samsung S8+ Mobile Became Too Hot and Wont Turn On | How To Fix? My Samsung S8+ Mobile Became Too Hot and Wont Turn On | How To Fix? Overheating and less charging issues on my Samsung S8+ mobile phone that became too hot and won't turn on. How to fix the issues? Galaxy S8+ that became too hot and won't turn on::How to fix? [Troubleshooting Guide]. Step-1: You need to make sure it's not due to liquid damage: Before tempering with your Samsung S8+, first you need to make sure whether the problem is caused by liquid or not. This is because you may do more damage to your Samsung S8+ mobile phone than fixing it. I provide you the ways you need to check Galaxy S8+ mobile phone for the possible liquid damage. ✴ Blow into the USB port to get rid moisture, debris and/or lint. ✴ Use a cotton swab to clean around the area. ✴ Insert a small piece of tissue into the USB port to absorb moist. ✴ Remove the SIM card tray and look into the slot to find out if the Liquid Damage Indicator is tripped. If the LDI is still white, then there’s no sign of liquid damage. 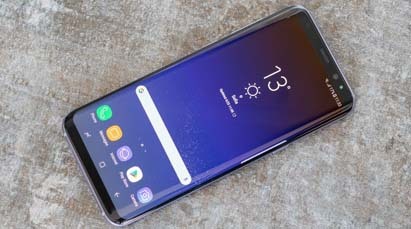 Step-2: Make sure your Samsung S8+ phone still charges: Once you are sure your Samsung S8+ is not suffering from liquid damage, now try to plug the charger and connect to your Samsung S8+ mobile phone. I provide you the ways to check the Samsung S8+ charging issues. ✴ Check if your phone still charges fine. If it's charging properly there is a possibility the problem is with the hardware. ✴ If it charges fine, you need to make sure it's not heating up as overheating may lead to more serious problems. ✴ Note that how long does it take to full charge. ✴ Try to turn your mobile phone while charging and see what happens. ✴ Your phone should at least charging icon. If it doesn't, allow your mobile phone to charge for ten minutes. ✴ Your phone’s memory will be refreshed as it will simulate battery disconnect. ✴ Your phone may start up normally, if the problem is due to a system crash. ✴ If above procedure doesn't work, connect it to the charger and do the same thing. ✴ Turn the device off. ✴ Press and hold the Power Key past the model name screen. ✴ When “SAMSUNG” appears on the screen, release the Power Key. ✴ Immediately after releasing the Power key, press and hold the Volume down Key. ✴ Continue to hold the Volume down Key until the device finishes restarting. ✴ Safe mode will display in the bottom left corner of the screen. ✴ Release the Volume down Key when you see Safe Mode. If the device successfully booted up in safe mode you should find the app that’s causing problem and then uninstall it. How to uninstall apps from Samsung S8+ mobile phones? Go to Settings → Apps. Tap the desired application in the default list or tap 3 dots icon → Show system apps to display pre-installed apps. Step-5: Try Samsung S8+ phone "Factory Reset": Remember you need to do this only if your Samsung S8+ phone won't boot up in "Safe Mode". The Android system recovery menu actually serves as the fail-safe for your device. Even if the problem is due to a serious firmware issue it may still be able to start in this mode and if successful. The first thing you should do is wipe the cache partition to delete all system caches. If that doesn’t work, then you must try to do the master reset which will bring the phone back to its factory default settings. Here’s how you try to start your phone up in "Recovery mode". How to reset Samsung S8+ mobile phone in factory default settings/factory reset? ✴ Turn off the device. ✴ Press and hold the Volume Up Key and the Bixby Key, then press and hold the Power Key. ✴ When the green Android logo displays, release all keys (‘Installing system update’ will show for about 30 – 60 seconds before showing the Android system recovery menu options). If you followed above procedures and still your Samsung S8+ mobile phone is heating up and not turning on, you need to take your phone back to dealer/store, technician will investigate and find out the solution. The cause may be the serious hardware issues in Samsung S8+ mobile phone. I hope this troubleshooting procedures/guide helped you to get rid from the problems you faced. Like, Share and Subscribe if you feel this post is helpful. 0 Response to "My Samsung S8+ Mobile Became Too Hot and Wont Turn On | How To Fix?"